As Comcast Corp. and Time Warner Cable Inc. roll out a massive lobbying effort to win regulatory approval for the merger of the nation’s two largest cable companies, one key step for the companies will be garnering the support of prominent civil rights and minority groups. 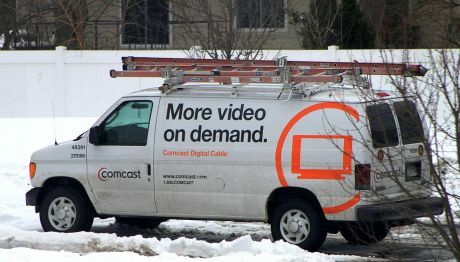 Comcast has already shown it can pull support from key minority groups — dozens sent letters of support to the Federal Communications Commission, which must approve the buyout, while it was considering Comcast’s last mega-deal — its 2011 purchase of NBC/Universal. As tax data analyzed as part of a collaboration between the Center for Public Integrity and the New York Times show, 55 such groups both accepted funds from Comcast’s corporate foundation between 2004 and 2012 and sent letters to the FCC supporting the Comcast-NBCU deal. Those include large and well-established organizations such as the National Urban League, which received $835,000 from Comcast’s foundation during the period, as well as local groups such as the Boston Chinatown Neighborhood Center, which received $42,300 in grants from Comcast since 2009. The data also show an emphasis by Comcast in building links to the Hispanic community. Of the $8.6 million given to groups that offered support in the NBC deal, nearly 60 percent went to Hispanic groups. The recipients included the National Council of La Raza ($2.2 million), the Hispanic Federation ($345,000) and the U.S. Hispanic Chamber of Commerce ($320,000). Support for the Time Warner Cable deal from the National Council of La Raza, the nation’s largest Hispanic civil rights group, would likely be even more helpful to Comcast. In 2010, while the FCC was scrutinizing Comcast’s NBC purchase, La Raza was one of six Hispanic groups to send a letter to the FCC’s chairman highlighting an agreement they had struck with Comcast and NBC in advance of the merger. As part of that deal, Comcast and NBC made a number of concessions, including the creation of new Spanish programming, increased funding for Hispanic scholarships, greater minority hiring and the addition of a Hispanic to Comcast’s board of directors. The agreement with the merging companies would “promote the goals of expanding economic opportunity for Hispanic families and preserving and enhancing programming for Hispanic audiences,” Janet Marguia, La Raza’s president, and five other Hispanic leaders wrote to the FCC. That agreement, and similar deals with other minority groups that have received Comcast funds, has drawn criticism from those who say the civil rights groups are selling short the interests of their constituents. David Cohen, Comcast’s government affairs chief, rejects any such criticism. Lisa Navarete, a spokeswoman for La Raza, says the 2010 deal with Comcast and NBC didn’t constitute a formal endorsement of the merger. More than three years after the agreement, she says the group is generally satisfied with Comcast’s outreach to Hispanics, though she says the group is concerned about the near-absence of Hispanic anchors on MSNBC or Hispanic actors on NBC staples such as “Saturday Night Live.” Still, she praises Comcast’s moves to add a Hispanic to its board, establish a minority advisory council and launch El Rey, an English-language channel targeting Hispanics. The $2.2 million La Raza has received from Comcast will not affect the group’s planned negotiations with the company about the proposed Time Warner merger, nor did Comcast donations influence the group’s stance toward the NBC deal, Navarete says. To be sure, not all Hispanic groups have supported Comcast’s acquisitions. In 2010, the Latino Business Chamber of Los Angeles wrote to the FCC to oppose Comcast’s acquisition of NBC/Universal, citing negative stereotyping of Latinos in the companies’ programming and a dearth of Hispanic executives. A long list of minority groups — collectively recipients of millions of dollars from Comcast Corp.’s foundation — supported the company’s buyout of NBC Universal, either by writing the Federal Communications Commission to endorse the deal or signing an agreement with Comcast related to the transaction. Similar support could be crucial as Comcast pursues a bid for Time Warner Cable. * The endorsement letter came from 11 members of the Congressional Black Caucus, not from the foundation itself.